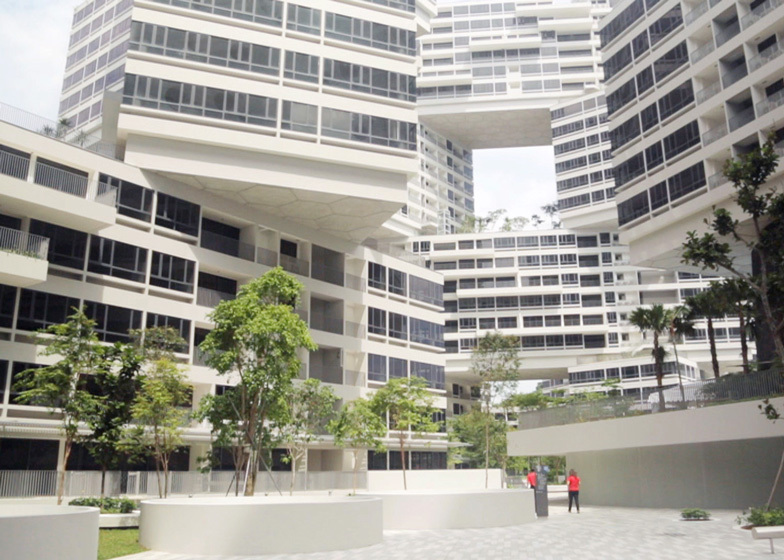 An OMA-designed housing complex comprising 31 apartment blocks stacked diagonally across one another is nearing completion in Singapore (+ slideshow). 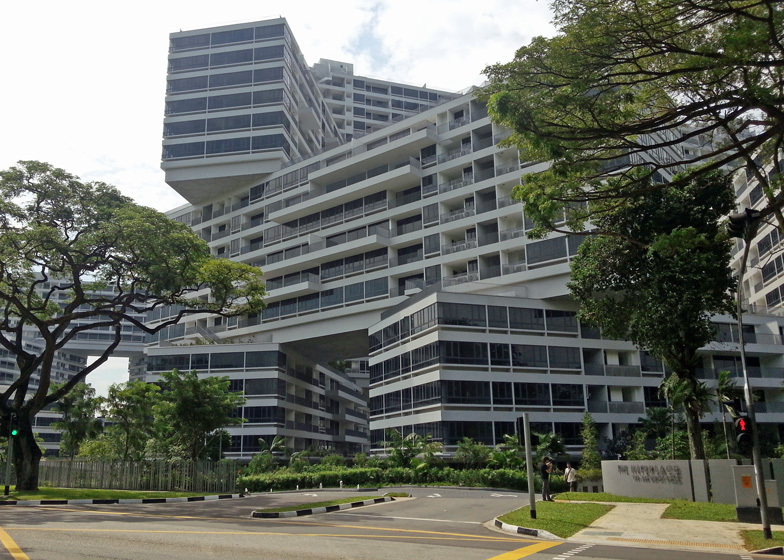 The Interlace was designed by former OMA partner Ole Scheeren, who has since moved on to set up his own studio. 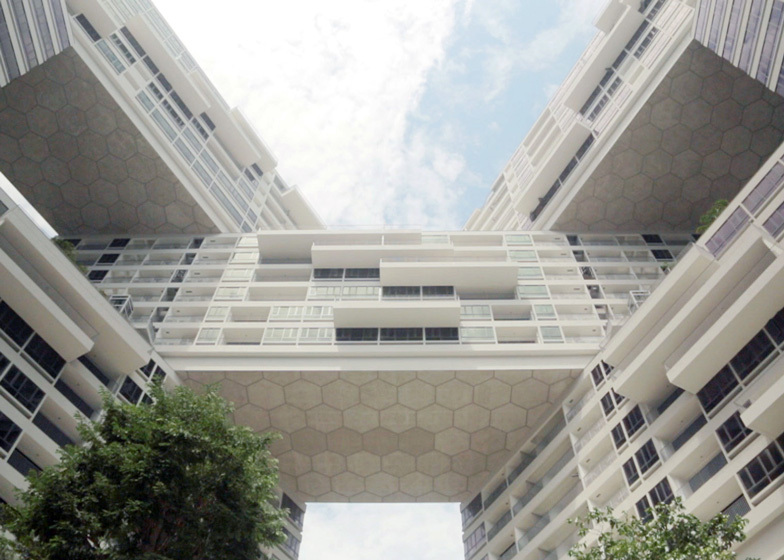 It is made up of a series of near-identical six-storey blocks, which have been arranged in a honeycomb pattern around six hexagonal courtyards. Set to complete in 2014, the 170,000 square-metre complex will offer 1040 apartments and is located at the intersection of Ayer Rajah Expressway and Alexandra Road in the south west of the city. The stacked arrangement of the structure creates numerous cantilevers and bridges around the exterior spaces. Gardens are located over the rooftops, while staircases are positioned at the overlaps between blocks. Other communal features include a lotus pond, a waterfall, an open-air theatre and a rock garden. 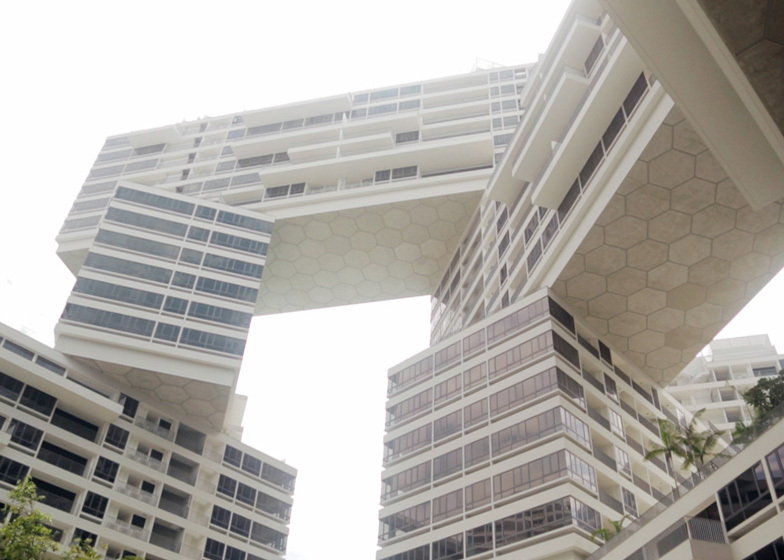 Dezeen visited the building last week during a visit to Singapore, as part of the Dezeen and Mini World Tour. The trip included a tour of the city with Colin Seah of local architecture studio Ministry of Design, who also took us to his studio's New Majestic Hotel. 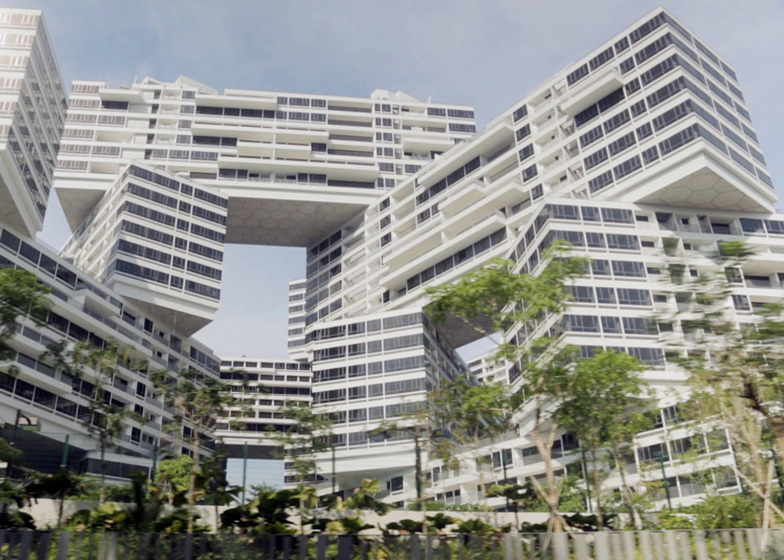 OMA unveiled its design for The Interlace in 2009, but the delivery has been carried out under the direction of property developer CapitaLand Residential.